Earn a sustainable means of living as you trek out on a virgin isle for an experiment. Forage for resources like food and building materials to earn a basic way to survive. Turn your back to urban life and embrace the countryside as you take on hard labor to earn a living. 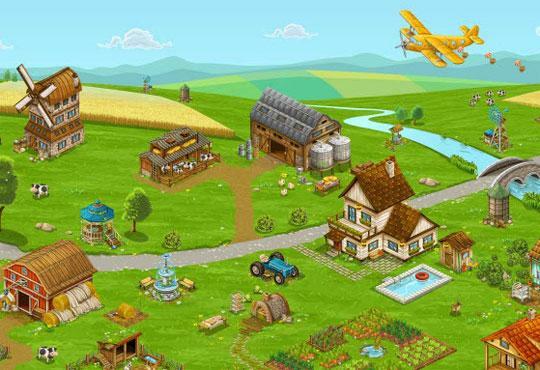 Perform chores for different clients like plowing, harvesting, and clearing the farm lands to earn money. Reset life to outback living and take on hard labor to gain crops and other farm produce. Clear the lot from weeds, trees, stones and other wild life to build up your farm facilities. Manage your resources to complete levels with high scores in this addictive experience. Utilize the many kinds of boosts to give yourself the upper hand during gameplay. Start and fuel the growth of an empire from scratch in this brilliant management game. Explore the different states for their vast deposits of natural resource and business opportunities. Seek out a fortune like no other while mining gold. Explore the vast land for gold and other precious resources.